Day 1 Fly to Halifax: On arrival collect your car and make your way to your hotel. 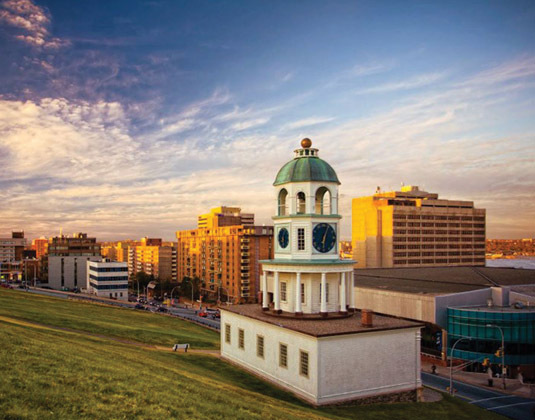 Day 2 Halifax: Located on one of the world's largest natural harbours, discover Halifax's proud maritime heritage in the many museums along the waterfront area. 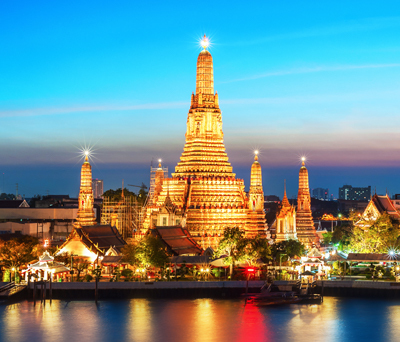 Visit the Citadel that has guarded the city since the 18th century, the Public Gardens or perhaps sail on a harbour cruise. Day 3 Halifax/Western Shore: Travel west along the Nova Scotia coast. 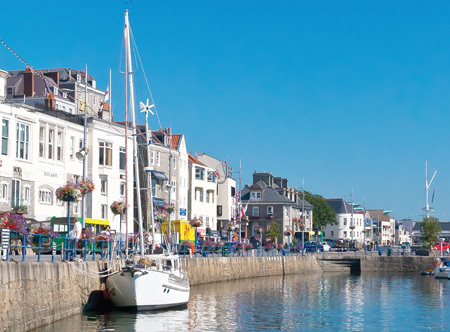 Traversing the northern shore of beautiful St Margaret's Bay, arrive in the picturesque Western Shore area, just across the water from Oak Island (49 miles). Day 4 Western Shore: Your resort is located on the beautiful southern shores of Nova Scotia with breathtaking views of Mahone Bay and legendary Oak Island. Stroll along the seaside trail where you may observe humpback and fin whales as they play off Tancook Island. Day 5 Western Shore/Digby: Head west and cross the heart of Nova Scotia and the near pristine wilderness. Perhaps stop for a day hike at Kejimkujik National Park and Historic Site, accessible from Kejimkujik Lake. Several locations on the shores of the lake, have been decorated with petroglyphs reflecting life prior to and following the arrival of Europeans (119 miles). 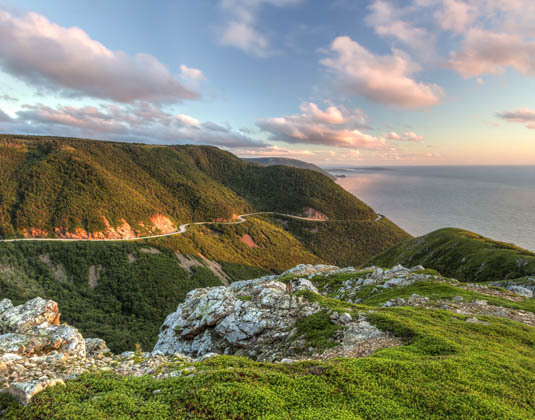 Day 6 Digby/Truro: Drive along Nova Scotia's northern shore and admire the Bay of Fundy, world-famous for its extreme tides. On your way you can visit historic landmarks, such as the Annapolis Royal Area, the Grand Pré National Historic Site, and Fort Edward National Historic Site (186 miles). 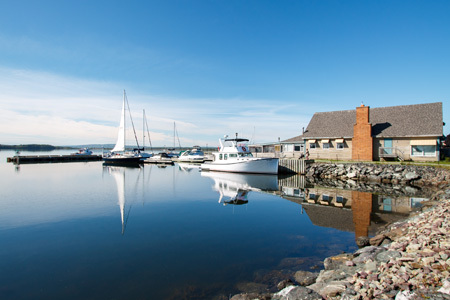 Day 7 Truro/Charlottetown: Make your way to Pictou, the "Birthplace of New Scotland", and explore the Hector Heritage Quay where Scottish settlers first arrived in 1773. 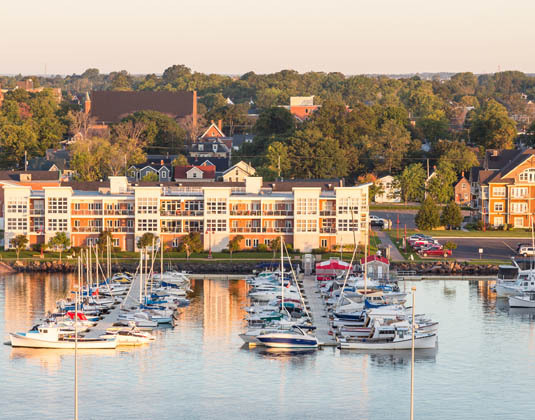 Take the ferry* across the Northumberland Strait to Prince Edward Island, and travel to charming Charlottetown, the "Cradle of Canada's Confederation" (80 miles). Day 8 Charlottetown: At leisure to explore the Victorian homes and elegant squares of Charlottetown. 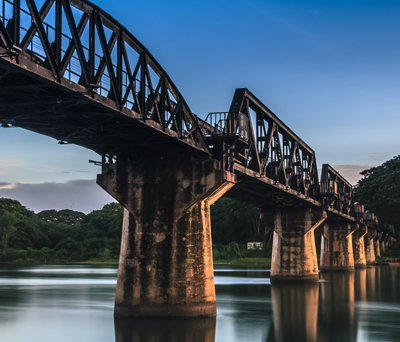 Despite the 20th century character, it still evokes feelings of a colonial seaport with quaint sections such as Great George Street and Old Charlotte Town. 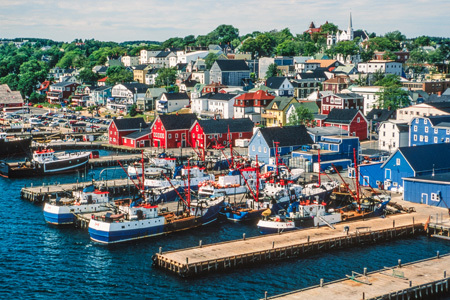 Day 9 Charlottetown/Antigonish: Return to Nova Scotia via ferry* and then travel along the North Shore Drive through tranquil scenery and small communities that still celebrate Nova ve and Acadian identities (99 miles). 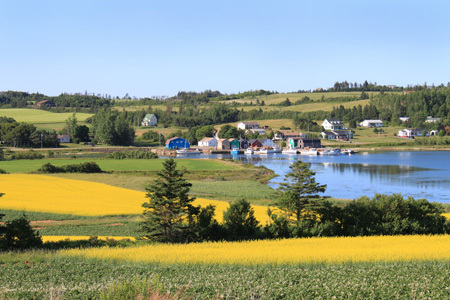 Day 10 Antigonish/Baddeck: A short drive brings you to the eastern reaches of the Northumberland Strait and the commercial hub of Ports Hawkesbury near the tip of St Georges Bay. Continue through gentle rolling fields of the bay area as it transitions into the beautiful Bras D'Or Lake lowlands (87 miles). 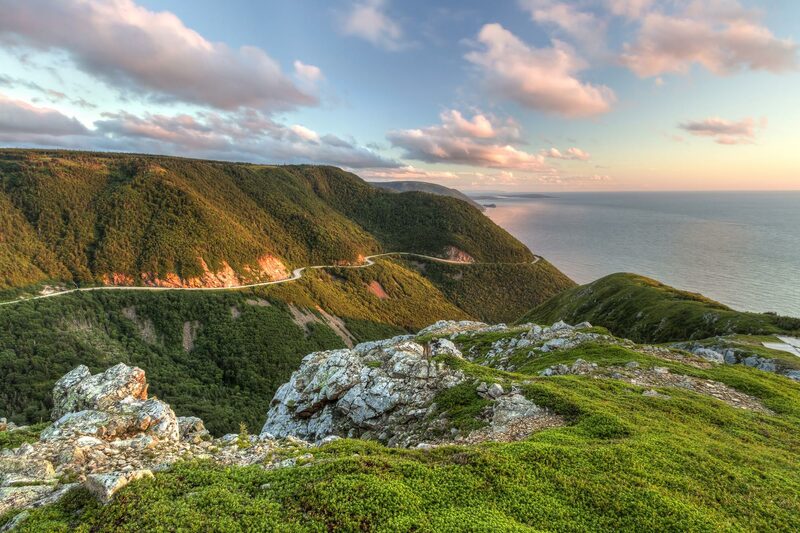 Day 11 Baddeck: We suggest a scenic drive along the Cabot Trail into the highlands of northern Cape Breton, passing lochs, glens and scenic coastlines. 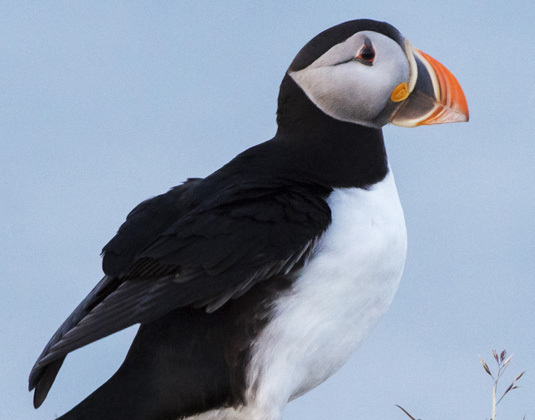 Later, enjoy a guided boat tour in Cheticamp to observe whales, seals, eagles, seabirds and other wildlife. Day 12 Baddeck/West Bay: Travel south, passing charming maritime communities that still celebrate their Scottish heritage. Later, tour the acclaimed Fortress of Louisburg, one of the historically most significant locations in North America. Continue on to Bras d'Or Lake, regarded as one of the world's best sailing and boating venues (53 miles). Day 13 West Bay/Liscombe Mills: Drive through Port Hawksbury and over the Canso Causeway. 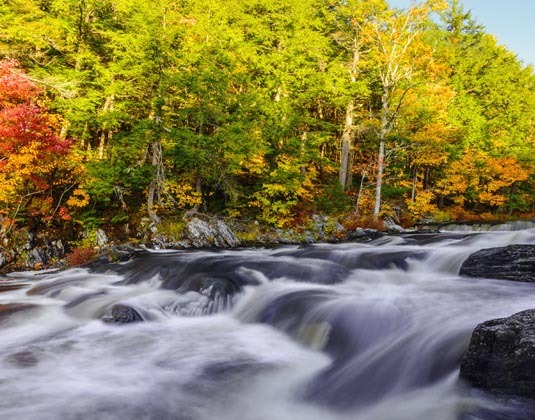 Once on the western shore, you may wish to alter your route and turn south to drive along the rugged southern Nova Scotian coastline before arriving at Liscombe Mills (140 miles). Day 14 Liscombe Mills/Halifax: If time allows, make your way to the Liscombe Game Sanctuary, home to abundant wildlife, such as moose, deer, mink and muskrat. Continue to Halifax where you tour concludes with your onward journey (108 miles). Departures: Daily between 22 May-27 Sep 19. Meals: Room only. Breakfast is also included on day 14. Tour price: The price shown is based on the best value travel dates in low season and includes international flights, 14 days group B car hire, 13 nights accommodation in 3hotels, whale watching tour on day 11 (05 Jun-27 Sep departures only), admission to Fortress of Louisbourg on day 12 and personalised Canada roadbook.  The tour is also available with 4hotels throughout. 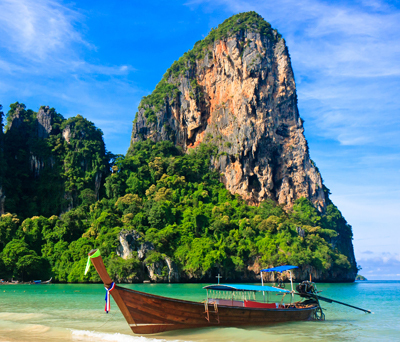 *Ferry bookings are not included as they cannot be prebooked.